Eating breakfast, especially if you have diabetes, or are trying to lose weight is important. But, deciding on what to eat can be tricky. Should you eat low-fat, low-carbohydrate, a meal replacement? Having a plan can help you to save time and prevent you from making an unfavorable choice. Studies have shown that eating a larger, higher fat and higher protein breakfast may actually help to reduce blood sugars and weight. The likely reason is that these types of breakfast choices are lower in carbohydrate. Some people with diabetes experience higher blood sugars in the morning because the liver breaks down sugar overnight and the cells can also be a bit more resistant to insulin at this time. Also, studies have shown that blood sugars tend to rise after breakfast meals, two times higher than after lunch. High post prandial (after meal) blood sugars can result in carbohydrate cravings because, instead of using sugar for fuel, it is remaining in the blood stream and the body thinks it needs to eat sugar (or carbohydrates) to fuel itself. Another study found that healthy adults who consumed a standard 50 g carbohydrate (for example, 3/4 cup cereal with 1 cup milk and a 1/2 banana) meal had their highest peak glucose (sugar) after breakfast, lowest after lunch, and moderate after dinner. Perhaps this is a good reason to try a lower carbohydrate breakfast. It's worth a shot. So, ditch the bagels, cereal, muffins, and pancakes, and try one of these best breakfast picks. You can throw anything into an omelet. Using leftover vegetables from the night before is a great way to increase your nutrition, prevent spoilage, and increase your fiber content to help keep you full. Roasted vegetables add a nice crunch and sweetness to an omelet. Heat non-stick pan on medium heat. Gently push one edge of the egg into the center of the pan, while tilting the pan to allow the still liquid egg to flow in underneath. Repeat with the other edges, until there's no liquid left. Flip the egg whites and cook until there is no uncooked egg left. Add roasted vegetables and cheese, then lift one edge of the egg and fold it across and over, so that the edges line up. Cook until it is cooked through, it should not be runny. You can flip it if desired. Ditch the granola and syrupy fruit, and use low-fat Greek yogurt (which contains less carbohydrate and more protein than regular yogurt) and fresh or frozen fruit for a high protein, high fiber, satisfying breakfast. Top with chopped nuts for added crunch, flavor, protein and healthy fats. This breakfast is simple and satisfying. Directions: Just mix and enjoy! *Cottage cheese is a significant source of sodium and can increase the sodium content in this recipe to about 500 mg.
Avocado contains heart healthy satisfying fat and fiber - it is a great substitution for mayonnaise and taste delicious with eggs. Hard boil eggs (can be done the night before). Boil for 10 minutes on high and let sit. Rinse in cold water. Chop ingredients and set aside. Peel eggs and add avocado, and vegetables. Layer wrap with spinach and top with egg mixture. *If you have a history of high cholesterol and want to reduce the saturated fat you can use egg whites. 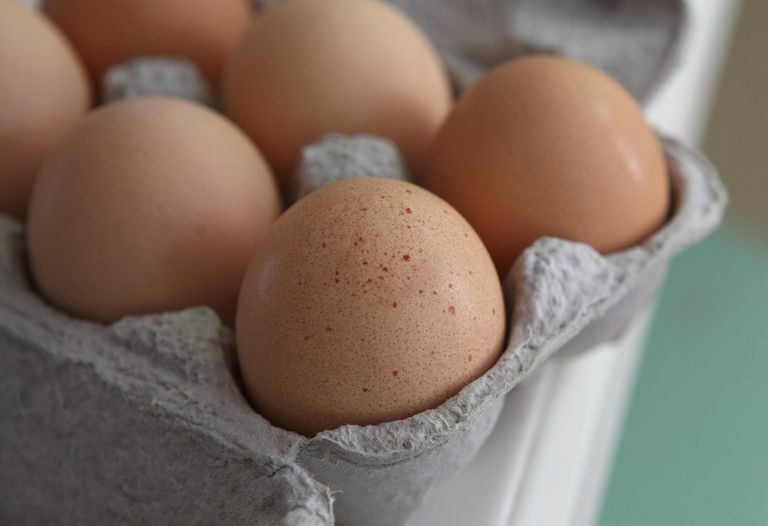 Keep egg yolks to no more than 4 per week. Quinoa is a low glycemic index, high fiber, high protein grain. It is a great substitution for oatmeal and is naturally gluten free. I add 100% pure pumpkin for added vitamin A, fiber and flavor. Pumpkin is a nutrition powerhouse. Cook quinoa according to package instructions using water. Once quinoa is fluffy add almond milk, pumpkin puree, cinnamon, vanilla, nutmeg and berries and stir in ground flaxseed. Top with silvered almonds or chopped walnuts. Instead of grilled cheese make a grilled peanut butter sandwich on whole grain bread. The peanut butter gets nice and gooey too which makes it delicious. Chop up a few strawberries for added fiber and sweetness. The combination of protein and fiber will help you to stay full and satisfied. Spray pan with non-stick cooking spray (I like to use organic coconut oil spray). If you'd prefer not to use cooking spray, grease pan lightly with organic butter or pure coconut oil and wipe clean with a paper towel (soaking up excess fat). Place peanut butter and strawberries between two slices of bread on grill on each side until lightly browned. *If you don't have time to grill the sandwich simply eat at room temperature. Berries are a low glycemic index fruit that are packed with nutrition. Add filling protein and healthy fat and you are sure to feel full and satisfied hours later. As a bonus, add some kale or spinach for added vitamins and nutrition. Add a probiotic to help promote digestive health. American Diabetes Association. Quick Breakfast Ideas. Lausch, Marnie. On the Cutting Edge Diabetes Care and Education. Carbohydrate, Insulin Pumps, and Continuous Glucose Monitoring Technology and Special Features to Manage Glycemia. 2014;V35;2,pp 7-11.